An original costume used in the production of The Wrestler, the 2008 sporting drama picture starring Mickey Rourke under the direction of Darren Aronofsky. 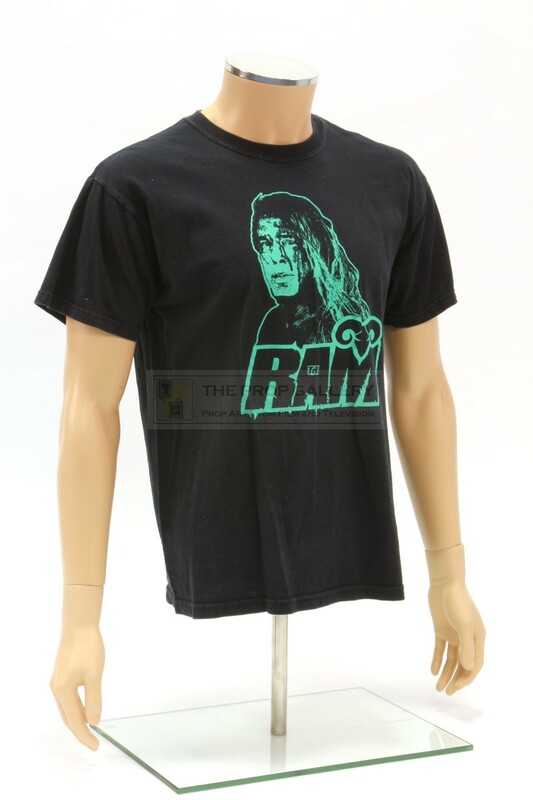 T-shirts such as this can clearly be seen worn by supporters of Randy 'The Ram' Robinson (Micky Rourke) in the wrestling match at the start of the movie and later in the match against The Ayatollah (Ernest Miller). 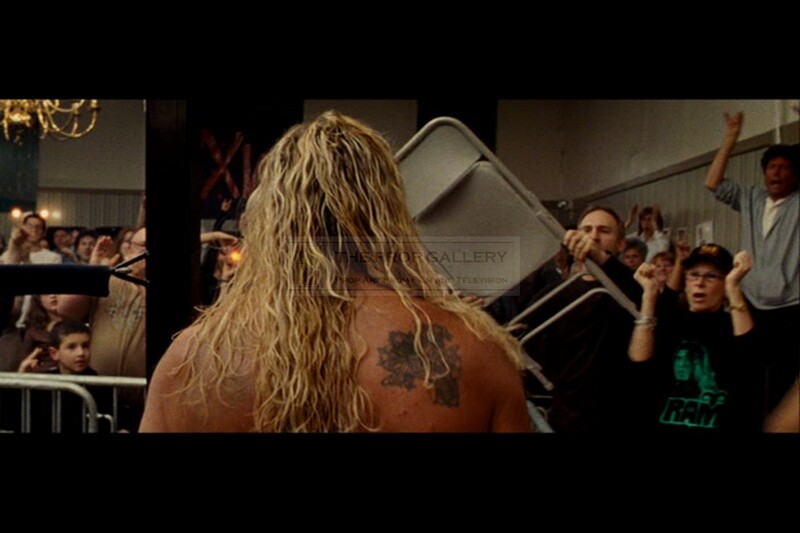 The black cotton shirt features the likeness of Micky Rourke as Randy with his nickname below and to the back is printed 'THEWRESTLERMOVIE.COM', it is believed these were created as crew shirts given the print to the back which were subsequently handed out to be worn by extras at the wrestling matches, various behind the scenes shots also show director Darren Aronofsky wearing an example of the shirt. The T-shirt is size medium and remains in good production used condition, very fine. A recognisable and displayable artefact from this critically acclaimed picture which saw Mickey Rourke nominated for the Academy Award for Best Actor.